Sac Open Studios: My studio will be open September 16 & 17, 10am-5pm. States of Matter, Sparrow Gallery, Sacramento, April 6 – 29th, 2017 ~ Three person show with Kate Farrall, and Ianna Frisby. Featured the Condensation Series. March, 2016 ~ Curator of HEAT: A Modern Look at an Ancient Medium, Sparrow Gallery, Sac, CA. An overview of encaustic work from the region, including two and three dimensional art. Sac Open Studios – studio #204. Come on over for some studio shenanigans from 10 – 5 both days, and don’t miss the launch party at Verge Center for the Arts on Sept. 10th, from 5-9pm. Autism + Social Media, a solo show at the Sacramento Poetry Center, Sacramento, CA. This show will include many works from the Eye Contact Series, as well as some of the work, research, and ideas leading to the Autism + Social Media project. Second Saturday Artist reception will be held on August 8th. The SPC gallery is located at 1719 25th Street. Big Names Small Art at the Crocker Art Museum, Sacramento, CA. The auction benefits the Crocker’s Education Programming. Bidding starts at 5:00. Figurative Show at Sparrow Gallery, Sacramento, CA Selected figurative works will be included in this group show. Small Showcase at Delta Workshop, Sacramento, CA. The work of over 30 artists in a variety of media ~ all work is under 12″. Two pieces from the Eye Contact Series will be included. Despair to Hope at Midtown Arts Collective at Ellis, Sacramento, CA. Five pieces from the Eye Contact Series are included in this interesting group show about overcoming personal struggles and challenges. 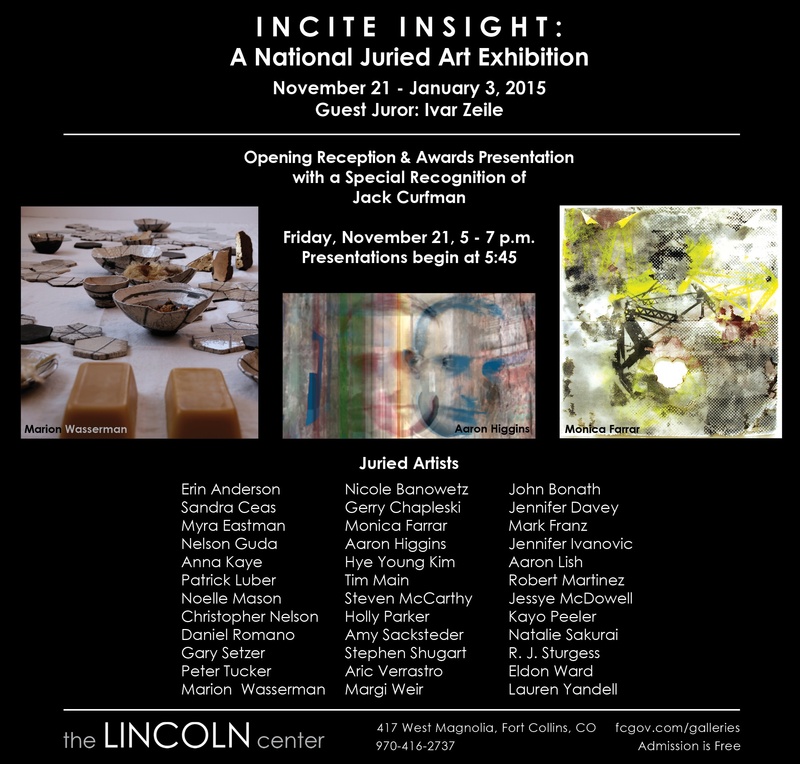 Incite Insight, a national juried show at the Lincoln Center, Fort Collins, CO. – one of my kilnfused glass pieces will be included.